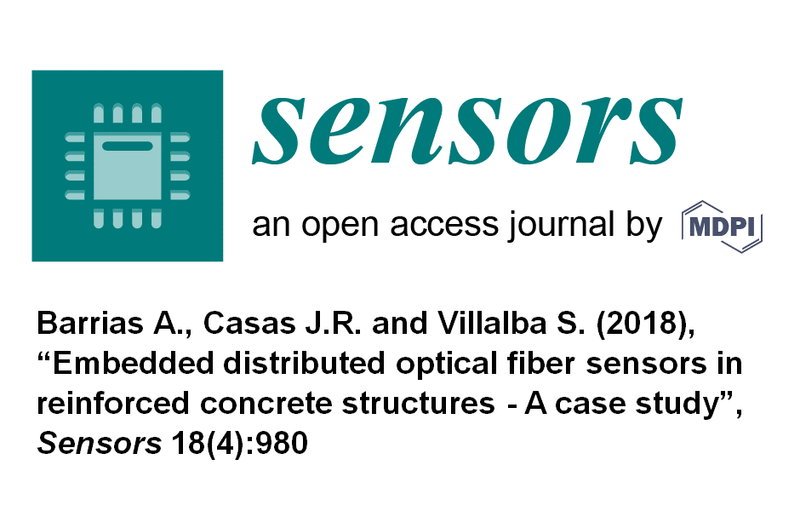 "Embedded distributed optical fiber sensors in reinforced concrete structures-case study"
On 26th March 2018, Antonio Barrias (ESR11) published the paper titled “Embedded Distributed Optical Fiber Sensors in Reinforced Concrete Structures—A Case Study” together with his supervisors Joan Ramon Casas and Sergi Villalba, as part of the Special Issue Optical Fiber Sensors 2017 in Sensors, an original peer-reviewed journal covering all aspects of Physical Sensing. This paper is open access and available for download at the DOI link provided with the full reference below. Keywords: Fiber optics; structural health monitoring; distributed fiber sensing; time domain reflectometry; frequency domain reflectometry; civil engineering. Barrias, A. , Casas, J.R., and Villalba, S. (2018), “Embedded distributed optical fiber sensors in reinforced concrete structures - A case study”, Sensors, 18(4), 980. Available Online.